Andreas Lubitz, depression? Pilot hid medical condition from Lufthansa, prosecutors say. 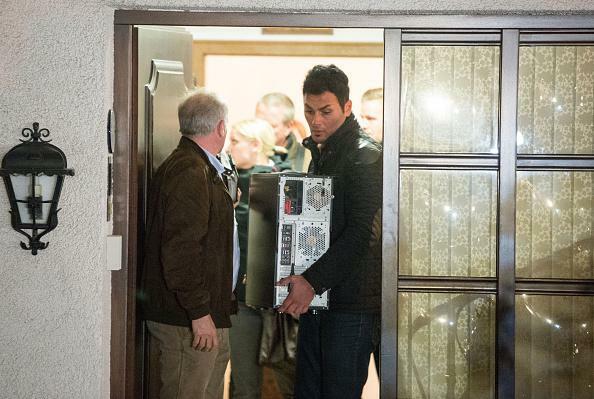 Police carry a computer out of the home where Andreas Lubitz lived with his parents. Prosecutors said that among the items found at Mr. Lubitz’s home was a doctor’s note excusing him from work on the day of the crash, and another note that had been torn up … The German investigators said they had not found a suicide note or “any indication of a political or religious” nature among the documents secured in Mr. Lubitz’s apartment. “However, documents were secured containing medical information that indicates an illness and corresponding treatment by doctors,” Ralf Herrenbrück, a spokesman for prosecutors in Düsseldorf, said in a statement. Per the BBC, the German tabloid Bild says Lubitz had a “severe depressive episode” in 2009. The paper Der Tagesspiegel reports via a source that Lubitz was being treated for depression at a university clinic in Dusseldorf, and both Bild and another outlet say that a note in his “aviation authority file” recommended regular psychological treatment.